Ultraportable, crafted for ease of traveling anywhere you go without hassle. Durable design that offers impressive impact resistance and protection for the propellers. Integrated 720P HD camera that delivers quality images and videos. Built-in Optical flowing systems that offers stability and precise flight controls. Simple controls that makes it super easy for beginners to fly right out of the box. Introducing the KIZMO drone, one of the most portable quadcopter. It is the latest take to diversify the drones market by featuring ultra-thin design packed with high quality camera and features. The KIZMO portable drone is brand new and geared toward beginners as well experienced remote pilots who wants a simple quadcopter. In the KIZMO portable drone review, we are going to go through the details such as design quality, performance, features and more. The purpose of KIZMO portable drone review is to help shoppers like you become informed about this latest drone. Even though there are many popular drones such as Bolt Bee and Mavic Air crafted for beginners. The KIZMO portable drone is packed with a lot of tricks up its sleeves that makes it worth enough to check out. Without further ado, let’s get the propellers spinning and find out more information about it. As it has earned its title of the world’s thinnest drone ever. The KIZMO portable drone focuses on compact design while making it easy enough for beginners to carry around with them anywhere they go. Design-wise, this portable drone is crafted with durable ABS plastic which provides impact resistance. I really liked how its propellers are protected by built-in guards. Unlike toy-grade drones such as Cyclone X708, the guards are included and dense enough that offers full protection. 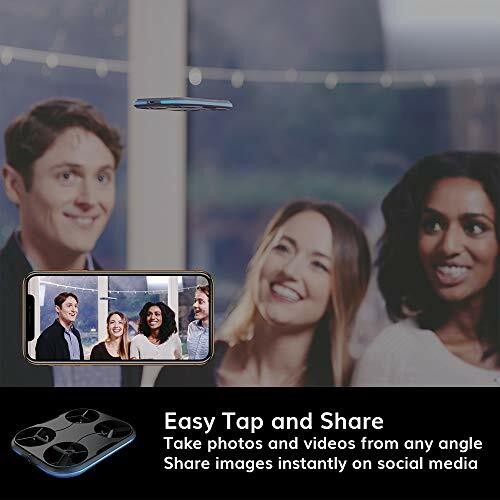 In the front of the drone, it comes with a built-in 720P HD camera which delivers quality images and videos. Along the propeller guards, the drone encompasses large LED lights that provides visual assistance for spotting during the daytime and nighttime. Thanks to its color LED lights, it helps drone pilots know which direction the drone is facing at. Although, if that is anything special about the KIZMO portable drone. It has to be the way this drone is designed. Because there are no landing gears and such, it is truly made to be durable enough for beginners. My only issue is that the battery isn’t easily replaced. If you want to replace the battery, you will have to take the main bodyframe off and put a fresh battery juice. It is not worth the hassle and you are better off recharging the battery which only takes around 30 minutes. Like I mentioned previously that the KIZMO portable drone is extremely compact. This drone is carefully crafted for beginners and experienced drone pilots who wants to be able to take with them without any hassle. But also the ability to fly and take simple selfie shots from the skies. Granted, popular professional camera drones such as Mavic Pro or Spark can do the job. But they requires additional maintenance and can be quite expensive for some people. KIZMO portable drone offers an alternative choice for those who simply want to have an affordable quadcopter that doesn’t takes out too much space. Thanks to its ultraportable design, it is even easier for travelers and beginners to take with them anywhere they go. Not to forget to mention that this drone’s portable design is made to be beginner-friendly as well kids. Which is a big plus from me. When it comes to performance, the KIZMO portable drone is surprisingly easy to handle. Given how short its battery is, you will be able to fly at an average of 6 minutes per charge. That’s actually not bad for these drones at the price range. However, the remote control distance is somewhat limiting as you will be able to pilot the drone up to a maximum of 30 meters away. Still, it is plenty of flying room for beginners to learn how to fly a drone. Because the KIZMO portable drone is built with impressive durable, taking it down by mistakes or purpose is incredible tough. Thanks to its built-in three-pronged propellers, it enhances the performance with higher flying speed and precise flight controls. In addition to that, the KIZMO portable drone encompasses optical flowing system that helps balance the quadcopter for stability. Majority of the performance is focused on stability while offering precise flight controls for beginners. In the next part of KIZMO portable drone review, I am going to talk about the features that this quadcopter has. Generally, when we look at items, we think that the smaller they are, the fewer features they have. That’s not always true, take HS160 Shadow and Contixo F22 for instance that are bustling with a lot of features. Just like KIZMO portable drone, it is packed with several features that makes it a popular choice among beginners. 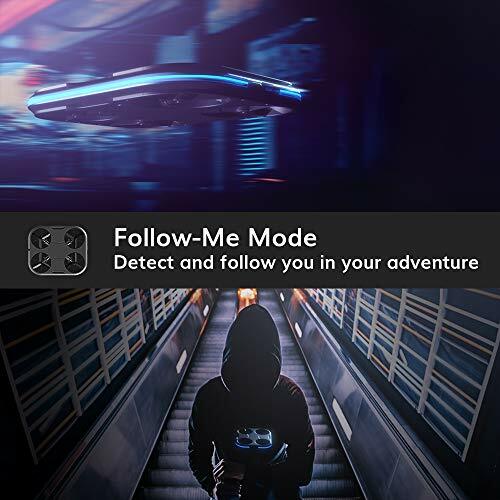 First and foremost, this portable drone is capable of performing Follow Me mode. Basically, it scans your face and recognizes you then automatically start following you. Even more so, you can give command to the drone to capture a picture where you move. This is an amazing feature that gives you a complete hands-free experience. In addition to that, the KIZMO portable drone has a lot of flight functions such as altitude hold, headless mode, automatic takeoff / landing. Plus, it has speed mode that allows a smooth and gradual learning experience for beginners. On default, it will be at the slowest speed setting so that beginners can learn and master the flight controls. Once you feel confident, you can increase the speed mode to challenge your piloting skill. Not just only that, the KIZMO portable drone is equipped with smart warning systems that lets you know if the battery is low or it is out of range. Overall, I think the KIZMO portable drone is an excellent quality quadcopter. It is built to be compact and portable enough at an affordable price that beginners can pick up and learn how to fly. Not only it is simple enough, the design is professional enough that will attract experienced remote pilots. 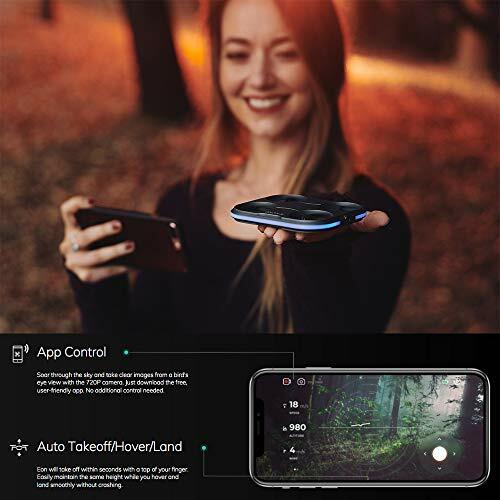 If you are that type of person who enjoys traveling around the world and want a simple camera drone that can take quality selfies. The KIZMO portable drone is an incredible selfie drone. Although, it doesn’t comes with a remote controller which is a bit disappointment. 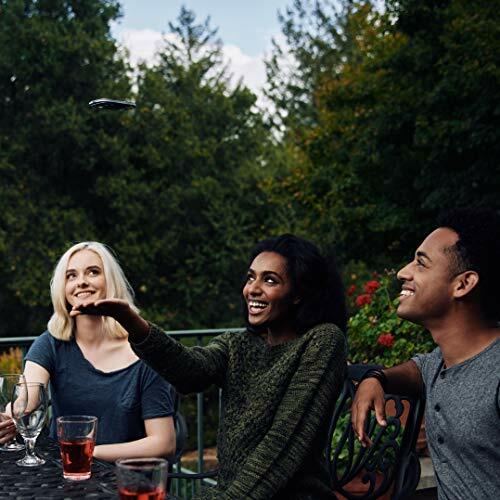 In order to fly the drone, you will have to connect the drone to your smartphone. Which can be done via download app. On the good note, I think it is definitely a nice drone that doesn’t takes up too much space. 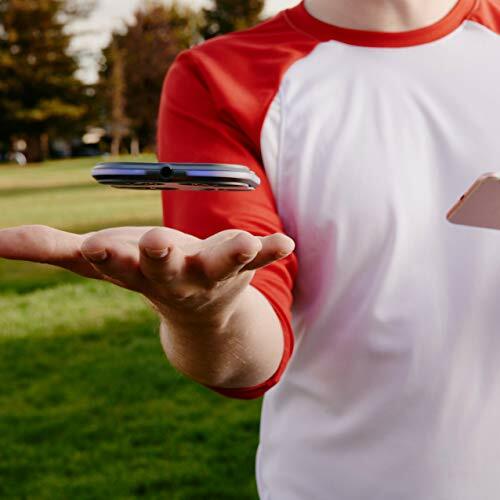 Because you are only going to need a smartphone to fly the drone. You can check its price here. We think the KIZMO portable drone is definitely one of the best quadcopter for beginners and experience remote pilots. 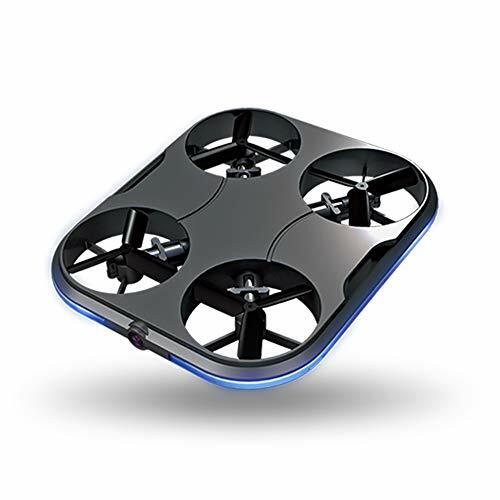 It is truly the world's thinnest drone built with durable material that encompasses long service life and impressive set of beginner-friendly features. With a good amount of flight time and portability, beginners can easily take the KIZMO portable drone anywhere they go around the world. Battery can't be replaced, but it has fast charging time. Limited control distance up to 30 meters. Explorer Case Edition Review: Is It Worth The Price for DJI Mavic Pro? DJI Mavic Pro Platinum Review: Is This Drone Worth The Upgrade?